This game port has a Crossover Alternative! You can try CrossOver and use it instead if you prefer. Linux users can use this to play as well. Get 30% off with the promode "portingover". This WSI file will create a Wrapper and install Might and Magic 6 into that Wrapper. 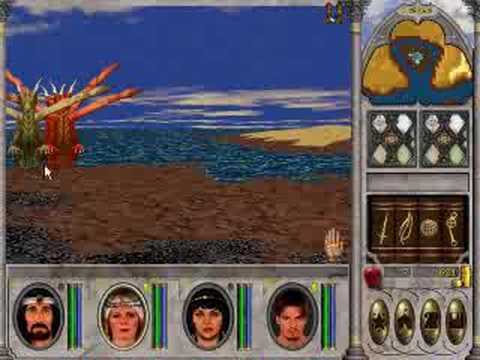 Might and Magic 6 is part of the The GOG.com Might and Magic 6-pack Limited Edition version and also contains the ported Might and Magic 2 and 4+5 and 3, which can also be found in Porting Kit. When you don't own the Windows game yet, then the WSI file will supply you the link to the game page where you can purchase this Windows game. Make sure you download the Might and Magic 6 setup file from your GOG.com library before you start the install. Click “Install” to create the game Wrapper. For questions and help check the Help/FAQ tab in the Porting Kit. Might and Magic is one of the most recognized RPG series, offering hundreds of hours of gameplay and is considered a genre defining example. Experience the Legend! - Includes the Grayface MM6 Patch (It includes Mok's patch and Angel's patch. it adds quick saves, changing controls, playing MP3 tracks, double speed mode, mouse look and so on.) this patch will run automatically after the main game installation. - With the recent installers of GOG, the installation will end in a few errors. If they occur, then just click them away. It won’t effect the game in any way. - The other games of the 6-pack (except Might & Magic book 1) can also be found in Porting Kit. Love the work we do? Become a Patron... and get extra Tiers!